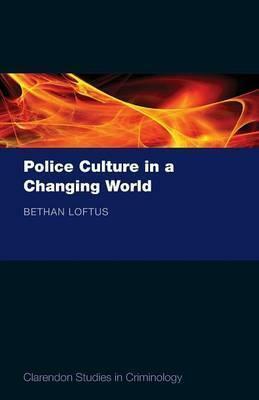 a theoretical discussion of police culture, tracking the new social, economic, and political field of British Policing, which sets out the main findings of the fieldwork. PART I - SITUATING POLICE CULTURE ; 1. Replaying the Classics ; 2. The New Social Field of Policing ; PART II - POLICE CULTURE IN MOTION ; 3. Dominant Culture Interrupted ; 4. Enduring Themes, Altered Times ; 5. Policing Diverse Publics ; 6. The Continuing Significance of Class ; PART III - CONCLUSION ; 7. Police Culture in Transition? MA in Comparative Criminology and Criminal Justice and first class honours degree in criminology and criminal justice, both from the University of Wales.